When you have committed to sobriety, every hour is a milestone and an achievement. While your pledge to remain sober will require constant awareness, attention, and courage throughout your life, the first days, weeks, and months of sobriety are, for many, the most challenging and vital to success. To help you remain focused and confident, and ensure you have the support systems in place to reach your goals, follow our advice for sobriety in the first days, weeks, and months after your last drink drug use. Find a Support Group. From day one, make sure you have access to a support system you can immediately access. No matter how emotionally strong you are, you will undoubtedly have moments where you need the sound mind and reassuring support of someone who understands your situation. Sign up for AA meetings or join another recovery support group and build relationships with people who can help. Remove Temptations from Your Environment. One of the best ways to eliminate temptation is to ensure you are not exposed to your drug of choice or any paraphernalia. Ask a member of your support system to remove any tempting items from your home. 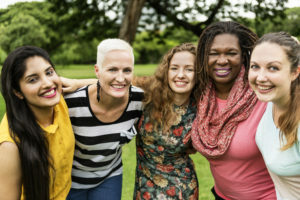 If you live with someone who does not share your commitment to a sober lifestyle, consider relocating to an environment where you can obtain the support you need. Expect Physical Symptoms. Unless you have just completed a detox program, you may be experiencing withdrawal in your first few days after your last drink or last use. If the severity of your symptoms is unbearable, consider seeking out the support of an inpatient rehabilitation center or detox program to help you safely and healthily battle the symptoms of withdrawal. Replace Unhealthy Habits with Healthy Habits. By committing to sobriety, you will need to find new habits and activities to fill the time. Sign up for a yoga class, join a book club or volunteer in your community. Such activities will not only provide you with a healthy alternative to substance abuse, but they can also help you heal emotionally and physically and channel your energy into positive pastimes. Keep Your Follow Up Appointments. If you are working with a counselor, doctor, or therapist, take advantage of your access and time with such professionals. Even on days when you do not feel tempted by drugs or alcohol, attend your scheduled appointments. Such sessions will help to reinforce all the reasons why you have committed to sobriety, so you have positive energy to pull from on emotionally challenging days. Assess Your Health Habits. To keep your mind and body feeling well and strong enough to resist cravings, strengthen it with healthy lifestyle habits. Get plenty of sleep each night, drink at least eight glasses of water per day, meditate, and exercise for at least thirty minutes a minimum of three times per week. When you begin to feel the positive changes of a healthy diet and exercise routine, you will be able to strengthen your resolve against your former substance use disorder. Rebuild Valued Relationships. If your substance use damaged your relationships with friends, family, or coworkers, work with your counselor to rebuild those relationships. A counselor can help you navigate the atonement process and can help you strategize what to say to those who were hurt by your previous lifestyle choices. Accept Your Emotions. Once you reach the three-month milestone, you may find yourself ready to come to terms with the reasons for your addiction, which may bring on a litany of challenging emotions. Rely on your support team and therapist during this time. Accepting your feelings and moving on will be a critical component of the healing process, so embrace it, but with support. Don’t Let Your Guard Down. Staying sober for six months is an accomplishment of which you should be proud, but don’t be tempted into thinking you’ve won a race and can resume activities or reengage people who may tempt you. Relapses can happen at any time—even after years of sobriety. Maintain your healthy habits, attend all counseling sessions, and rely on your support group. If you have been sober for any length of time, but could benefit from the support of a professional outpatient treatment center, click here to learn more about treatment options available from Horizon Health.